Our supported living accommodations across London provide people with the choice to live in a house or flat, and with up to six people or on their own. 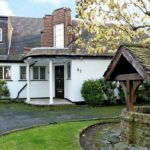 Norwood will work with a person’s social worker to assess their needs and identify the most suitable Norwood accommodation to meet them. We will then, with the person’s input, agree the hours of support they are entitled to and work out funding arrangements. People living in Norwood’s supported living can receive anything from 10 hours a week to 24 hours of support a day. The home is set within a fully renovated and modern detached house in New Barnet, close to shops, restaurants, cinema, supermarkets, a gym and overground and underground stations. 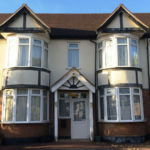 One room available in upstairs flat of large detached house in Ilford, located a short bus ride to Gants Hill tube station, pubs, cafes, restaurants and shops. Suitable for someone with little or no mobility needs, who is happy to share with two other men who like music, the theatre, friendship groups and inclusive nightclubs.